Although hybridization can be used as a tool for genetic rescue, it can also generate outbreeding depression and reduce local adaptation. Improved understanding of these processes is required to better inform conservation decisions for threatened populations. Few studies, however, investigate how multiple factors influence hybridization effects. We investigated how effective population sizes (Ne), geographic distance, genetic divergence (QST, FST), and environmental stress influence hybridization effects among eight highly divergent brook trout (Salvelinus fontinalis) populations varying in Ne (range 44–589). In a common garden, we compared three fitness-related traits among hybrid and non-hybrid crosses. Contrary to expectations, we found little evidence of outbreeding depression; instead, hybridization effects were mostly neutral (60/66 non-hybrid vs. hybrid comparisons) with some support for heterosis (6/66). When controlling for maternal-family effects, several factors influenced fitness-related traits but cumulatively explained little variance in relative hybrid fitness (0–6.4%). For instance, when hybridized dams came from small Ne populations, relative fitness increased for some traits (length at hatch), suggesting heterosis, yet decreased at other traits (survival to hatch), suggesting outbreeding depression. Trait inconsistencies in relative hybrid fitness were also observed under different degrees of environmental stress. Results also differed when family variance in hybridization effects was unaccounted for. 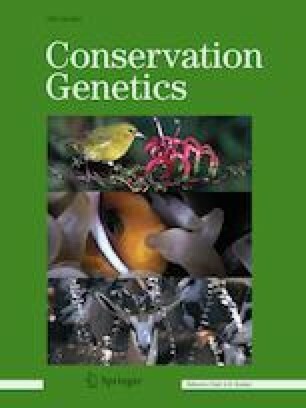 Collectively, our results suggest that, under certain conditions, current guidelines on genetic rescue and associated outbreeding risks might be too conservative. The occurrence of genetic rescue and outbreeding depression, nonetheless, remain difficult to predict because families and individual traits can express different effects from hybridization within populations. Zachery R. R. Wells and Thais A. Bernos Contributed equally to this study. The online version of this article ( https://doi.org/10.1007/s10592-019-01179-z) contains supplementary material, which is available to authorized users. We thank DFO (Newfoundland) for providing permits to conduct field collections of brook trout gametes, J. Wood and C. Zastavniouk for assistance with gamete collections, and K. Marin and S. Islam for their assistance in gamete crossing and fish husbandry. This study was supported by NSERC Discovery and Accelerator Grants to D. Fraser and an NSERC Postgraduate Scholarship to M. Yates. Finally, we thank Dr. J.C. Garza and two anonymous reviewers for their valuable comments on a previous version of our manuscript.